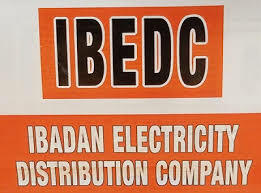 In ensuring effective service delivery to electricity customers within the network operations, the management of Ibadan Electricity Distribution Company (IBEDC), has promised to engage 300 communities proactively and reactively in 2019 for improved service delivery and to boost feedback mechanism towards a better mutual relationship between service provider and consumers. Head Branding and Corporate Communications, IBEDC, Mrs. Angela Olanrewaju, said in a statement issued Friday February 1, that the company engaged over 200 communities in 2018 as part of its commitment to customer satisfaction. According to Olanrewaju, IBEDC identifies the need for regular engagement with communities to foster mutual relationship with customers. The engagement also creates avenue to educate our customers on the challenges hindering efficiency. “This will also create the opportunity to address most complaints posed by customers on the misconceptions about our services. IBEDC is a customer focused service provider that listens to the grievances of its customers. We know without the support of our customer base, we will not be able to function. Therefore, we are ready to go the extra mile to discuss with customers freely on pertinent concerns that will improve power supply,” she said. Olanrewaju said: Part of the problem is that some consumers are still misinformed about how the electricity business value-chain works in Nigeria. Lot of customers still believe that Discos are responsible for the generation, transmission and distribution of power. `It became imperative for us as an effective service provider to educate consumers as its one of our top priority for the progress of the electricity distribution sector. Thus, our community engagements afford us the good opportunity for direct re-education, reorientation and sensitization of consumer,’’ Olanrewaju added. IBEDC head of communication said that that in 2018, the company has engaged over 200 communities within its franchise area of Oyo, Ogun, Osun, Kwara and parts of Kogi, Ekiti including Niger states. She said that the management of the company has designed a model of effective interaction with communities, which had so far impacted positively on general awareness of IBEDC’s operation. `` So far, we have engaged with monarchs, government representatives, community leaders, CDAs, youth’s leaders and other stakeholders in Omi Adio, Odo Ona Elewe, Arapaja, Ologuneru, Iseyin, Adegbayi, Saki, Egbeda, Shoka, Idimango, Alakia, Olorunsogo, Lalupon and Rice millers. Other are: Halleluyah, Ogbaagba, Osu, Ada, Asabiri, Aiyetoro, Tsaragi, Asabari, Tanke, Idioro, Iloffa, Osi, Oyun, Mowe, Sagamu, ElegaBode, Iberekodo, Aiyetoro, Olumo, Ilupeju, Ota, Papalanto, Ikire, Efun, Dagbolu, Ipetumodu, Atiba, Erin-Osun, Iwo, Aroko, Iwara/Erinwo, Kishi, Tanke, Ajegunle, Idioro, Osi, Illoffa, Basin Ori-oke, Oyun, Offa, Ogbomosho, Igbeti, Igboho and Irepo community. Olanrewaju said that various communities have met with members of the company in an open fora’s to discuss issues affecting their communities which bordered on power supply, metering, estimated bills, energy theft, vandalism, safety, fault clearing and replacement of transformers, which are some of the issues addressed. `As a result of constant engagements, more communities are being connected to our network and more consumers are being captured for billing through our enumeration exercise, issues of energy thefts are also uncovered. She said that the engagements also keep staff on their toes as they know customers can report them at this community engagements, this, has helped IBEDC to identity areas of customer’s challenges and also create avenue for the company to work towards resolving the issues raised at the community engagements.